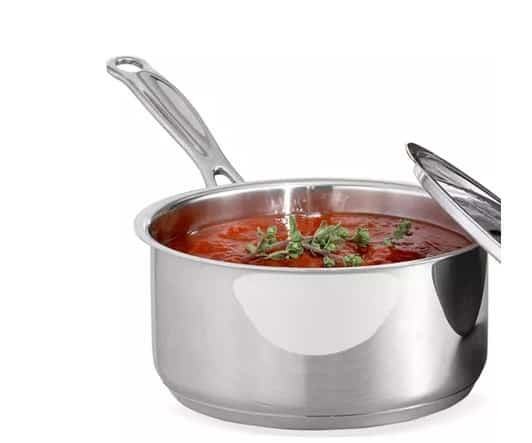 A great choice for slow simmers, rolling boils and liquid reductions, this gorgeous 18/4 stainless saucepan looks as good as it cooks. Macy’s has Cuisinart Chef’s Classic 1.5-Quart Saucepan marked down to $19.99 from $24.99. You can use promo code VIP to bring the price down to $13.99. Choose in-store pick up to save on shipping charges. Features riveted Cool Grip Handles for a confident hold, tapered rims for easy pouring and a lid that locks in flavor, texture and nutrients.